July the 14th 2016 will see the Fred. Olsen Challenge of Spain return to the Hotel Jardín Tecina’s golf course for the seventh consecutive year. Promising to be a week of fun, sun and sporting prowess, the event includes the pro competition and a special pro-am challenge (taking place on the 13th of July) where less experienced golfers can get involved. This is the perfect place to indulge your passion for the game and the course is just one part of the excellent sports and leisure facilities available at the Hotel Jardin Tecina. Whether you hope to take part in the Fred. Olsen Pro-Am Challenge or simply play a relaxed 18 holes during your holiday, here are some great reasons to love Tecina Golf. 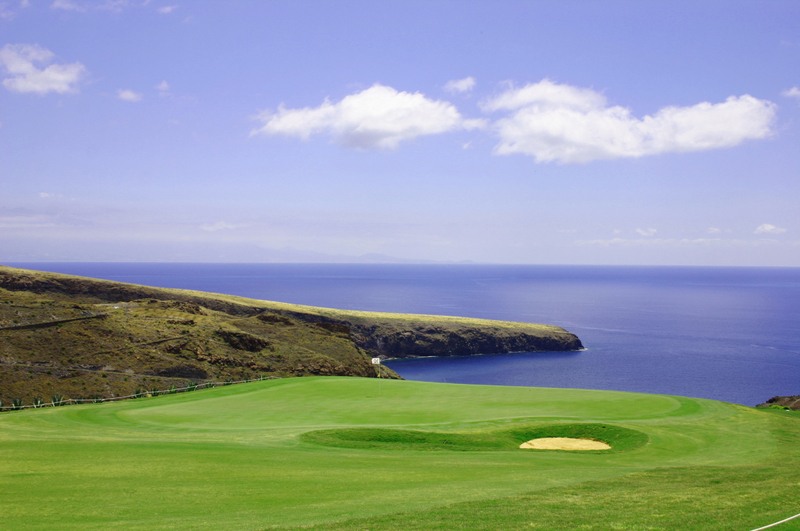 This is one of the few golf courses in the world that offers spectacular views. Legendary course designer Donald Steel created the layout so that there was a continual downhill gradient from the first hole to the last and so that the sea is constantly in view. 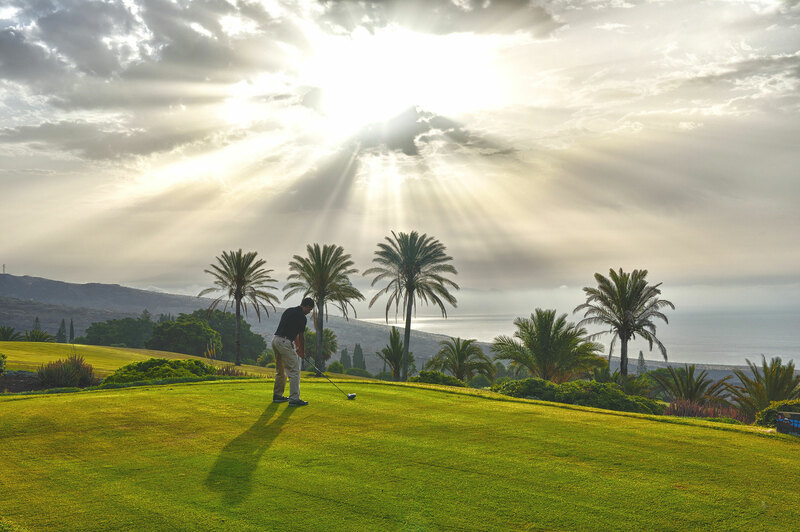 As you make your way from hole to hole and even as you are lining up your next shot, you’ll be able to soak up fantastic vistas of the Atlantic Ocean, neighbouring Tenerife and the impending Mount Teide. Designed to blend effortlessly with the beautiful Gomeran environment, the Tecina Golf course offers an exciting challenge to those who love the game. Designated a par 71 and with some intricate approach play needed to gain an advantage, it is easily one of the top ten courses in Spain. That doesn’t mean casual golfers should not be put off, though. Each green has been crafted so that it is quite accommodating, with wide landing areas that make the course accessible to golfers of many different levels. If you want to use your time at the Hotel Jardín Tecina to perfect your swing, the onsite golf academy is a great place to start. They run courses for total beginners as well as those who already have a handicap but would like to spend some time improving their technique. The advanced course includes a filming and analysis session where the coach will talk you through any obvious changes that can be made, as well as some time spent on things like bunker shots and putting. The beginner class, on the other hand, is perfect for children or adults who want to get into the sport. You will be taught the basics and given a few tips before testing all you have learnt on the course. 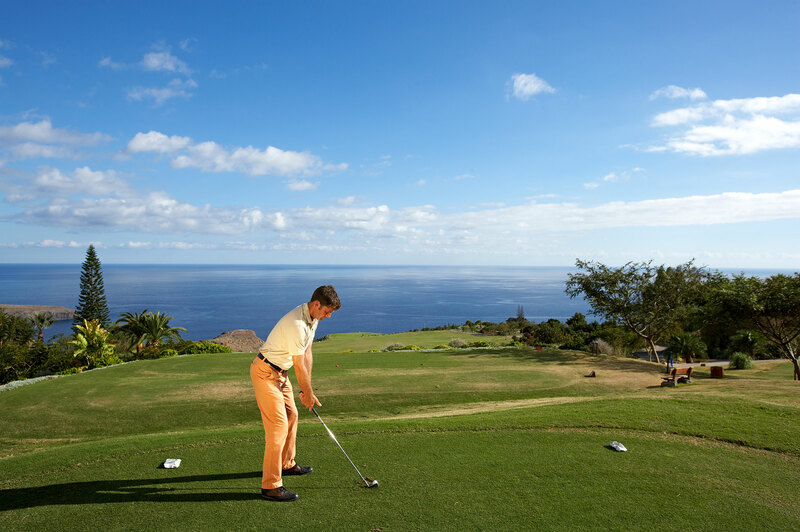 La Gomera, and the Canary Islands in general, provides the perfect conditions for a round of golf. The plentiful hours of sunshine, the clear skies and relatively low wind speeds mean that there will be copious opportunities to head out onto the course and very little disruption during your game. 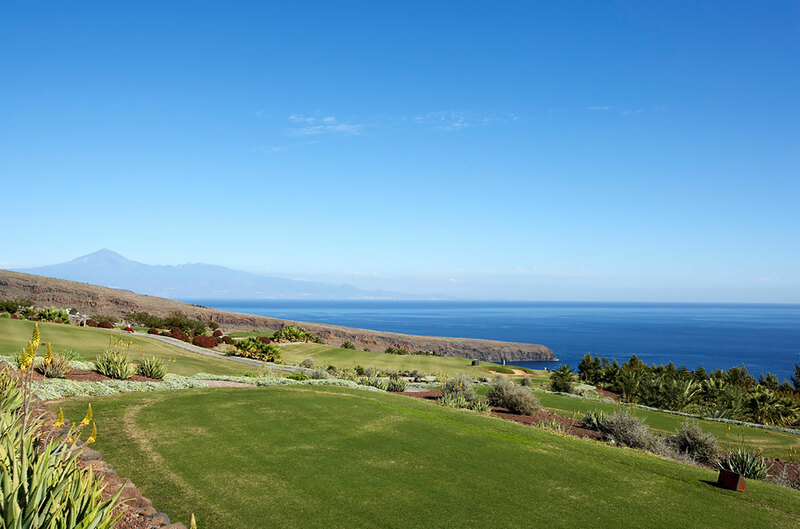 Combine this with the stunning views and the alluring flora and fauna all around you and it’s clear that you’ll love your Tecina Golf experience. If you would like to book your stay at the Hotel Jardin Tecina or take part in the Fred. Olsen Pro-Am Challenge of Spain call our friendly team today.